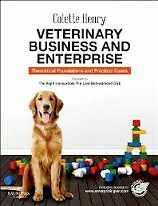 Veterinary Business and Enterprise: Theoretical Foundations and Practical Cases presents readers with a unique collection of theory-based chapters and case studies that together provide a clear and practical illustration of key contemporary challenges in veterinary business management. The theory sections are written by leading academics from top universities and colleges, and cover leadership and management, the application of marketing theory, brand identity, ethical approaches to management and more. The practical cases are principally based on real businesses within the broader veterinary sector both nationally and internationally. Each case deals with themes specifically relevant to the effective and practical management of a veterinary or veterinary-related business and presents a particular business challenge for students to solve. 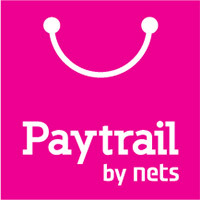 The cases are supported by web-based overviews, student assessments and interactive questions. The book will be an important business and enterprise learning resource for both undergraduate and postgraduate level students of veterinary medicine. It will also be an invaluable supporting resource for business and enterprise educators and those responsible for curriculum design in veterinary schools internationally. Chapter 12 Cromlyn Vets: Where to now? Chapter 13 DeAth, Slaughter, Davis & Jones: Time for a Re-Brand? Chapter 15 Northgate Veterinary Clinic: A new lease of life?